Contents: Preface. C. Moore, K. Lemmon, The Nature and Utility of the Temporally Extended Self. K. Nelson, Language and the Self: From the "Experiencing I" to the "Continuing Me." R. Fivush, Owning Experience: Developing Subjective Perspective in Autobiographical Narratives. J.A. Hudson, The Anticipated Self: Mother-Child Talk About Future Events. D.J. Povinelli, The Self: Elevated in Consciousness and Extended in Time. M. Welch-Ross, Personalizing the Temporally Extended Self: Evaluative Self-Awareness and the Development of Autobiographical Memory. C.M. Atance, D.K. O'Neill, Planning in 3-Year-Olds: A Reflection of the Future Self? J. Barresi, Extending Self-Consciousness Into the Future. K. Lemmon, C. Moore, Binding the Self in Time. J. Perner, Episodic Memory: Essential Distinctions and Developmental Implications. T. McCormack, C. Hoerl, The Child in Time: Temporal Concepts and Self-Consciousness in the Development of Episodic Memory. P.D. Zelazo, J.A. Sommerville, Levels of Consciousness of the Self in Time. 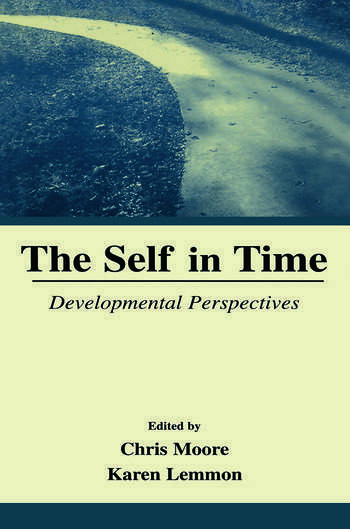 "...it is a very interesting and well-presented book that deals with the complicated area of self-concept and continuity over time, filling a void in particular, of work related to the future self."